Microsoft Office has been the wisest choice as an email client desktop application for large range of users. Being attracted by its efficient email management as well as other services including contact management, appointment scheduler etc., and users prefer to opt this service. 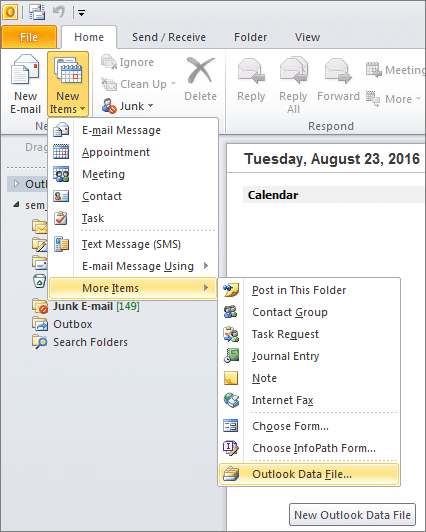 As Outlook is a desktop based application, it maintains the entire mailbox items in a local PST file. Thus, PST file contains all mailbox items including emails, contacts, and calendars etc. for a particular user profile. However, the users can also choose to combine multiple items from different PST files into a single file and access them all together. Many users are in search of an effective solution that can merge PST files without any data loss. We aim to provide the most promising solution to combine multiple Outlook PST items into a single PST file. 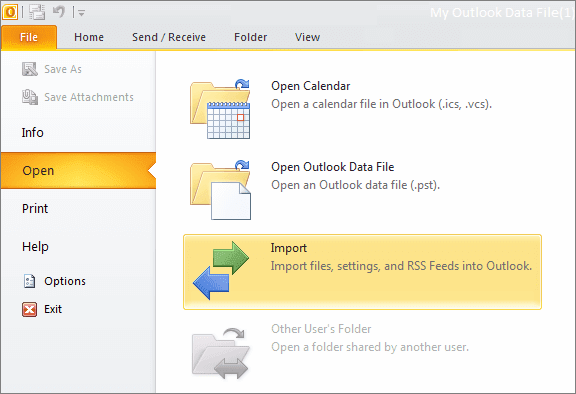 Using the measures, users can easily merge Outlook folders without facing any kind of difficulty. "Being an entrepreneur, I handle around fifty email accounts for different purposes. Each account maintains its contacts in respective PST file. It becomes difficult for me to look into contacts all together. I wish to merge Outlook contacts from different accounts into a single email account." “Recently, I forgot the password for my Outlook account and was unable to recover it. I created a new Outlook profile to carry on my important emails. Luckily, I could crack password of my old account with help of my friends. Now, I have decided to find a way by which I can combine all Outlook items from new account into old Outlook PST file so that I do not miss any important emails. Kindly suggest me a reliable method to combine PST files without duplicates." Why to Consolidate PST Files? Faster Searching - It becomes easy to search for required Outlook item from a single PST file, rather than searching for data in every PST file individually. Thus, it saves time and provides faster searching and data retrieval. Migrate PST files - While migrating to new version of Outlook, the users can efficiently combine the existing PST files into a single file. 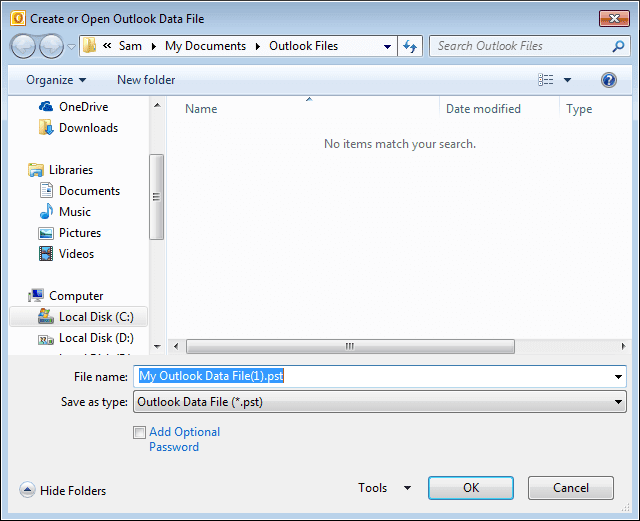 This file can be easily imported to access Outlook items. Apart from these major reasons, users may also go for merging in order to free some space from memory or to manage all archive files together. Step 1. Login to Outlook application to access the account in which PST file needs to be combined. Step 2. 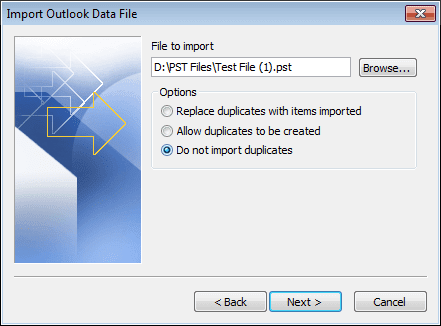 Navigate File >> More Items >> Outlook Data file to create a new PST file. Step 3. Browse the location for saving new PST file and provide desired name to the PST file. Step 4. Now, the newly generated PST file is visible on side pane of Outlook application. Step 5. Click on File >> Open >> Import options. Step 6. 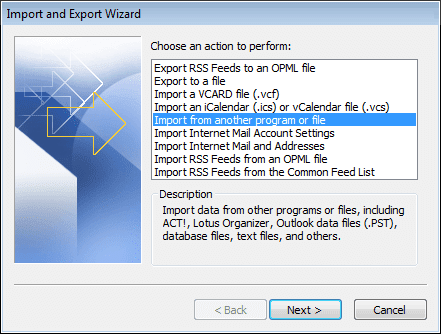 Under Import Wizard, select Import from another program or file option. Step 7. 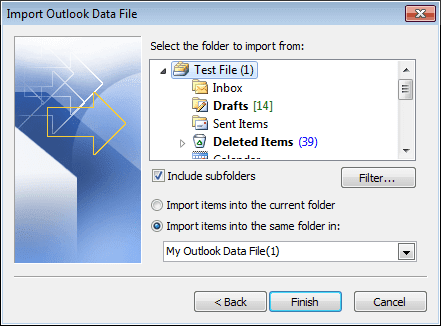 Choose Outlook Data File (.pst) among the listed file formats to import file. Step 8. Browse the location of PST file to combine PST items. Tip: Make sure to check mark do not import duplicates option to avoid having duplication in the mailbox. Step 9. 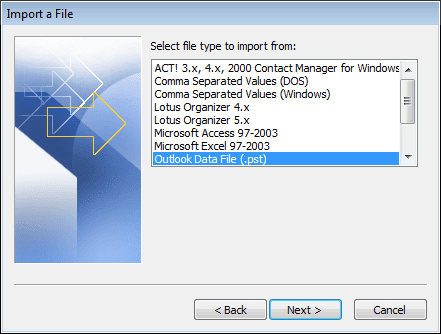 Select the mailbox folder items from PST file, which need to be combined. Step 10. Click on Finish to complete the process. Note: The above discussed procedure needs to be repeated for every PST file whose data items need to be combined. Thus, if you wish to combine multiple PST files into single PST, it becomes quite cumbersome to repeat the process for every PST file individually. It can be said that this procedure can be opted for merging small number of PST items; not for combining large number. 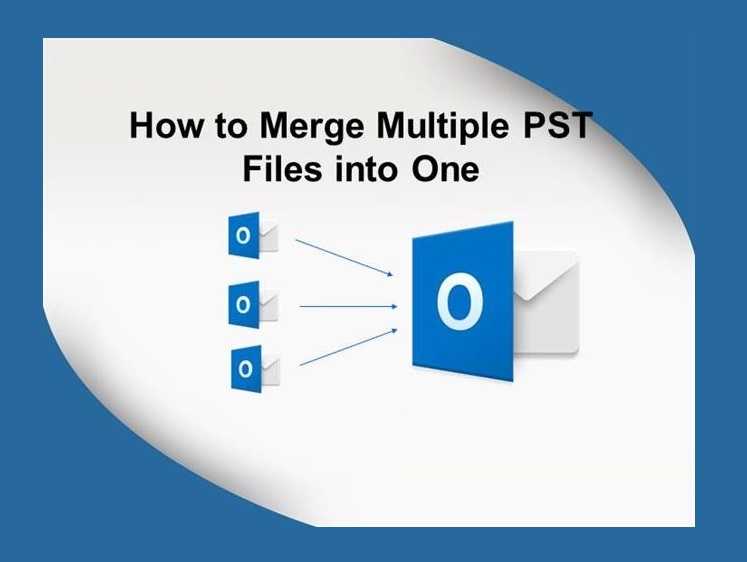 Considering the importance and on-going demand to merge PST files into one, we have discussed the most promising solution to combine multiple Outlook PST items. 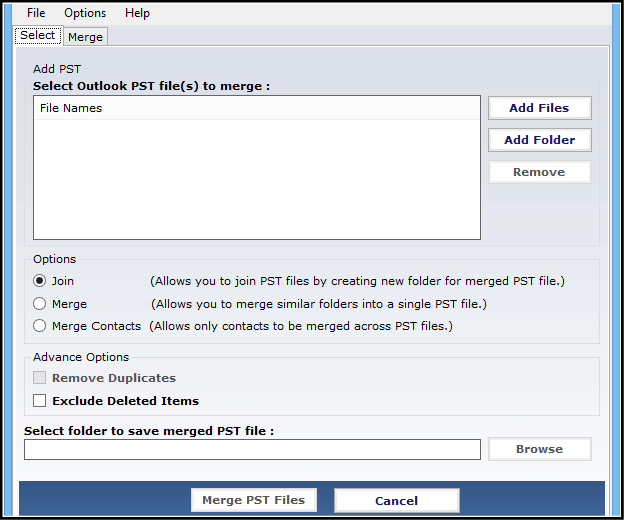 An automated tool, PST Merge has also been suggested to perform faster and efficient processing. The users are advised to combine Outlook PST items and access them all together within a single account.